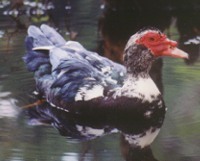 Muscovy Ducks are non-native dabblers common in suburban ponds and lakes. 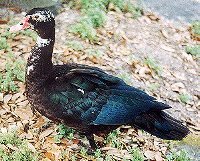 The plumage of Muscovy Ducks varies widely, including all black, black and white, and all white. Males and some females have red facial knobs.